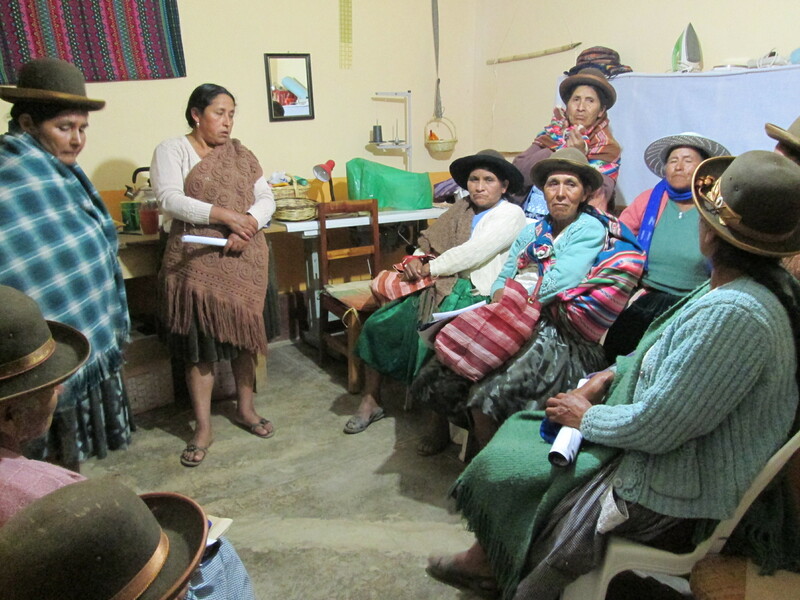 March was a busy month for the Club de Artesanas (CdA) members. 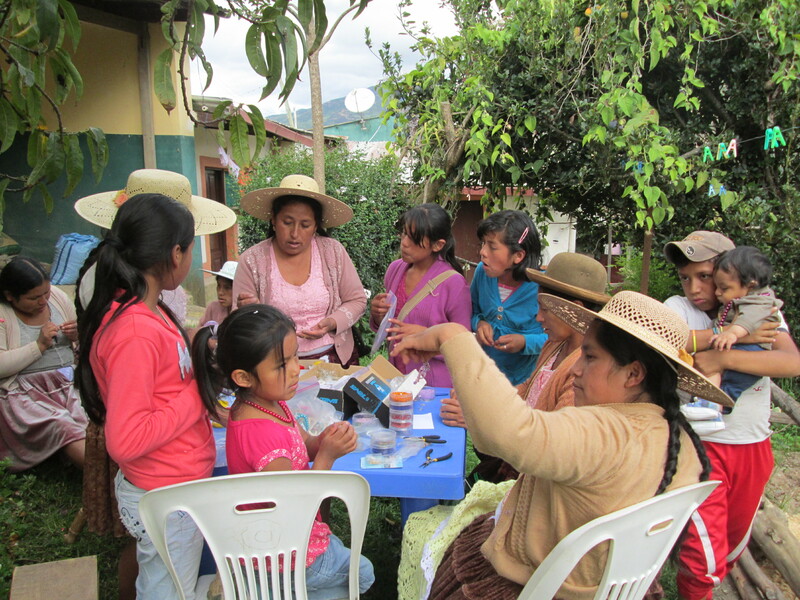 The chicas joined the women on Thursday afternoons to make jewelry to sell at the Feria de la Chirimoya, Independencia’s harvest fair which will take place on May 3rd. 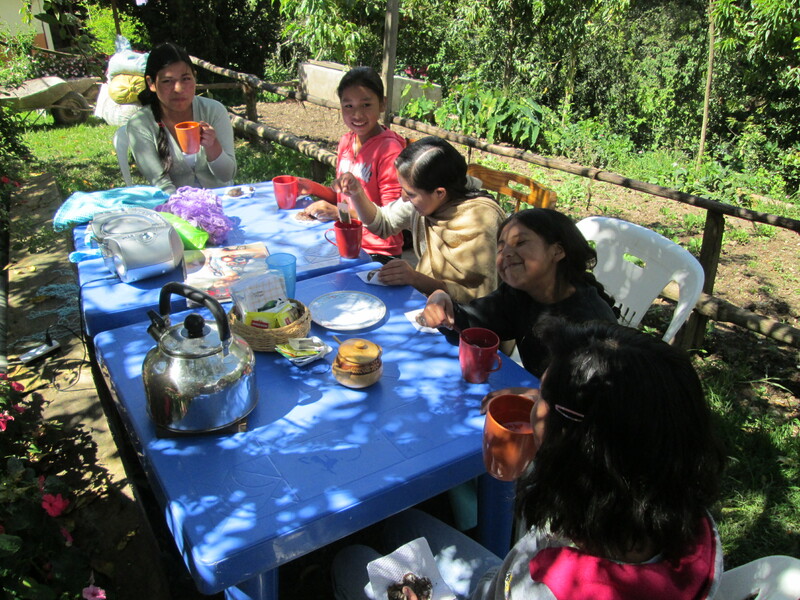 The sun shone every Saturday morning on Reyna’s classes with the 4 CdA chicas as they laughed, chatted, and crocheted in the garden. 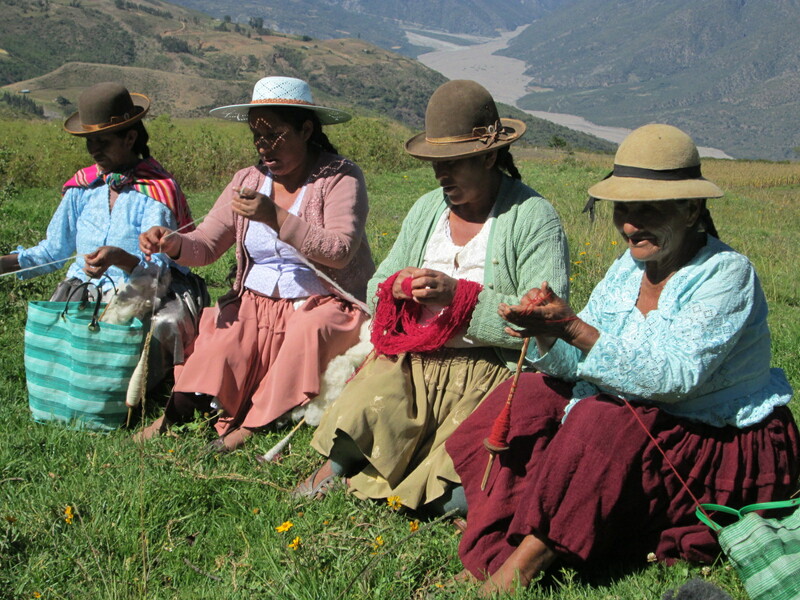 were purchased in Cochabamba, and the rose scent was a huge hit with all the CdA women. The bars were handed out as samples for feedback on the quality. 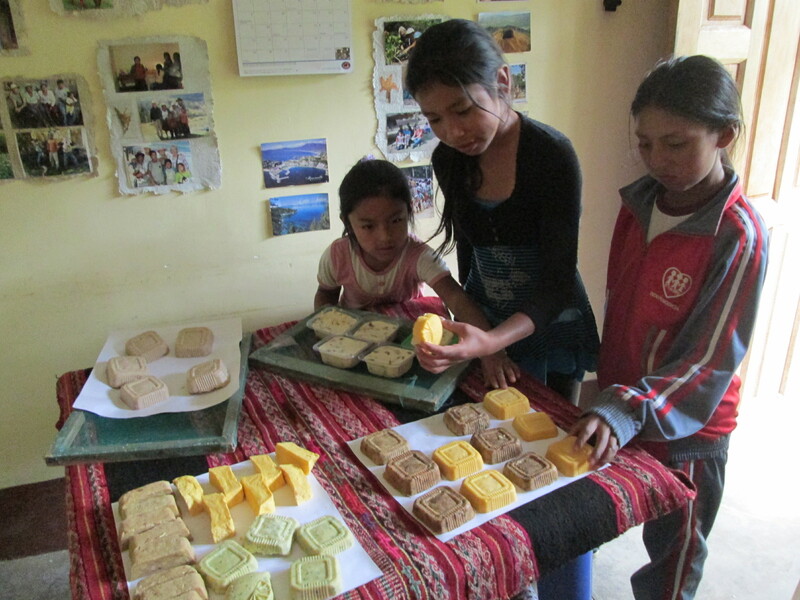 The 3rd batch of basic soap is drying, and the 60 bars it will produce will be for sold at the PAZA booth at the fair in May. 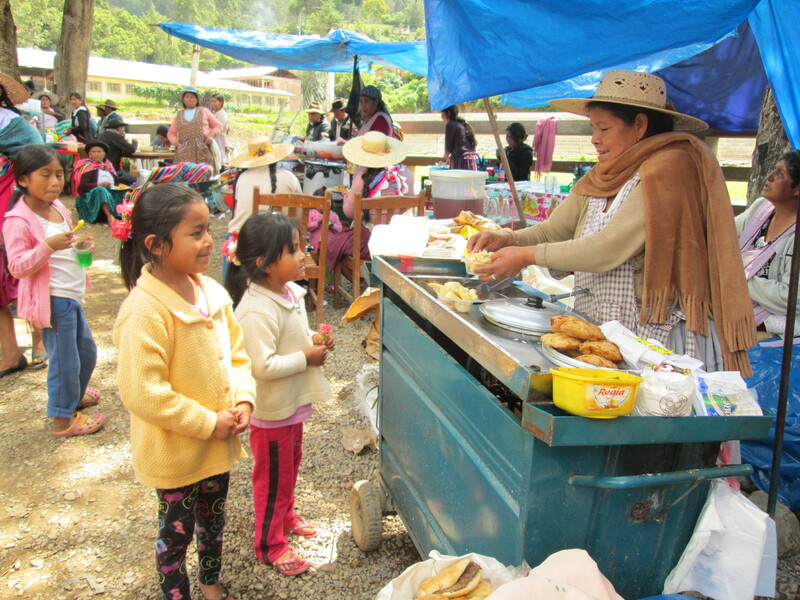 party of President Evo Morales, who began his 3rd term in January, so the party has clout. 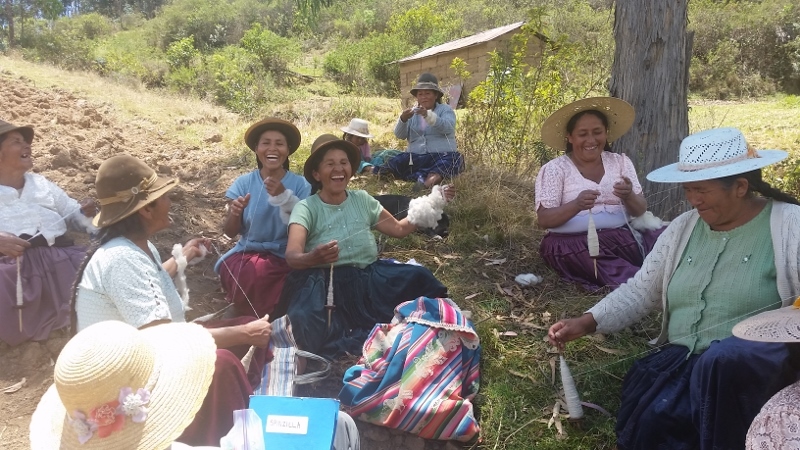 The MAS mayoral candidate won, so it´s going to be interesting to see what new opportunities appear for PAZA, the Huancarani weavers, and weavers in other rural communities. hesitate to enter their first international spinning competition because of the cost. The second rule change was that all participants will receive the same prize. The third rule change is that every participant must sign up for themselves at the PAZA workshop/store. Last year 2 spinners were disqualified for adding to their balls of yarn because they wanted to win one of the top six prizes. Both had been signed up by somebody else, so it´s possible the rules were not fully explained to them.